Please review the guidelines below on how test articles should be submitted and shipped to ACGT. 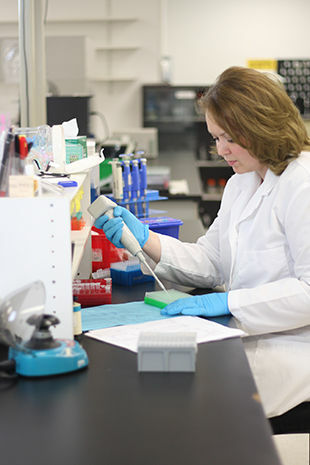 Sponsor should submit at least 1g of tissue or 1×10 zcells for a cDNA library construction. In order to obtain RNA of high quality and yield, fresh or instantly frozen tissues or cell cultures are required. All tissues or cells need to be quickly prepared and flash frozen in liquid nitrogen to minimize RNA degradation. These samples should be stored at –80°C until used. Information on Sample ID, sample collection documentation, and packaging information should be submitted along with samples. Upon receipt, the integrity of sample containers will be checked by analysts and relevant information will be recorded on the sample log-in record or a laboratory notebook. Samples should be shipped frozen on dry ice by overnight delivery, packed with protective bubble pad. Make sure dry ice surrounds all sides of the samples. Samples with DMSO should be shipped frozen by overnight delivery, packed with protective bubble pad. Make sure dry ice surrounds all sides of the specimens. Samples without DMSO should be shipped refrigerated or with a wet/blue ice package, packed with protective bubble pad. Samples should be collected in suitable collection media such as QIAGEN PAXGene solution, stored refrigerated (fresh, never frozen) or frozen, maintained at proper temperature (4°C, -20°C, or -80°C) and submitted in a refrigerated or frozen package. Fresh samples should be shipped refrigerated, with a wet/blue ice package, packed with protective bubble pad. Frozen samples should be shipped frozen by overnight delivery, packed with protective bubble pad. Make sure dry ice surrounds all sides of the specimens. Total RNA or mRNA should be isolated from tissue or cells using commercial kits or equivalent methods, resuspended in nuclease free water, stored at -80°C and submitted in a frozen package. Sponsor should submit A260/A280 readings and gel pictures along with the samples. A260/A280 should be at least 1.8. The upper ribosomal RNA band should be about twice the intensity of the lower ribosomal RNA band. Samples should be shipped frozen on dry ice by overnight delivery.